The EDGEflow range of rainwater systems provides a complete PVC rainwater solution whatever your needs. Our rainwater products cover all types of domestic applications whether you require a contemporary modern look or a traditional "cast iron" style PVC product. The range also includes a high capacity Super Deep 170mm gutter system for larger commercial applications. Throughout the range you will find class leading quality, with each component designed for quick and simple installation and maximum durability. Half Round - for use on traditional small to medium sized properties. The most common style of gutter and the most economical to buy. Fits the round downpipe system. Also available in the Cast Iron Style Range. Square - for use where a more contemporary look is required on small to medium sized properties. Compatible with both square and round downpipe systems. Deepflow - a high capacity gutter with looks similar to the half round system, suits larger properties. Compatible with the round downpipe system. Also available in the Cast Iron Style Range. 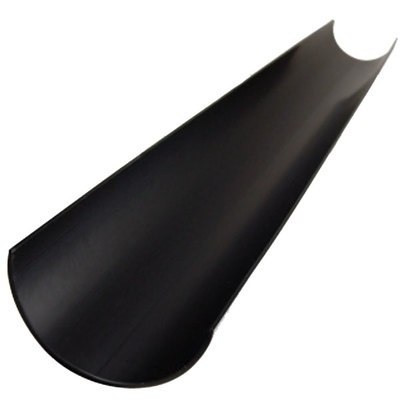 Ogee - this system has a decorative profile to make your roofline really stand out. The Ogee system also has the highest capacity of the domestic EDGEflow products. Compatible with both square and round downpipe systems. Also available in the Cast Iron Style Range. Super Deep 170 - this is a ultra high capacity gutter system for commerical applications and is engineered to be extremely tough to cope with the demands of an industrial environment. With its huge capacity it is able to cope with the largest roof areas and will minimise the number of downpipes needed. Compatible with 110mm downpipe (soil pipe). There is also an industrial gutter available in Cast Iron Style. 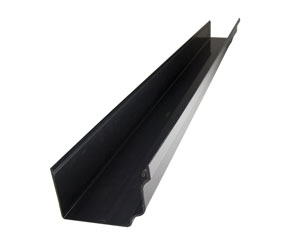 Black Guttering - close to RAL9005 - available in Half Round, Square, Deepflow (eliptical) and Ogee. 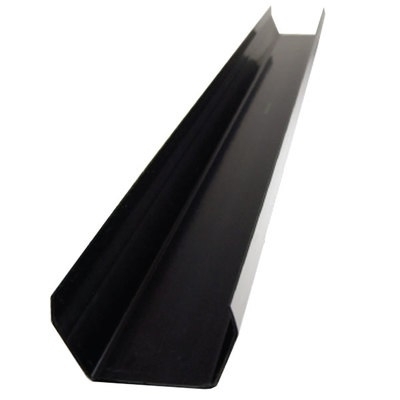 Black is arguably the most versatile colour guttering as it can be used with any colour fascia and soffit and will blend in to the "shadow line" of the roof edge. Brown Guttering - close to RAL8011 - available in Half Round, Square, Deepflow (eliptical) and Ogee. Brown is mainly used with Rosewood Fascias. 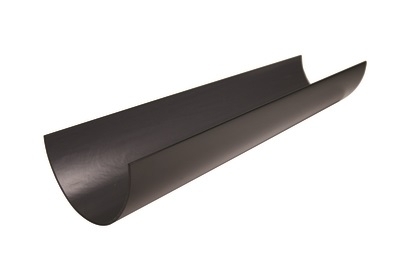 Dark Grey (Anthracite) Guttering - close to RAL7016 - available in Deepflow and Ogee with round downpipes. This colour is very popular and is used in conjunction with the Anthracite Grey RAL7016 Fascia and Soffit products. Grey Guttering - close to RAL7046 - available in Half Round with round downpipes. This is a mid grey that works well with the Gloss Mid Grey Fascias or with White Fascias. 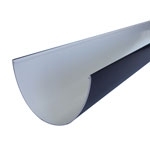 White Guttering - close to RAL9016 - available in Half Round, Square, Deepflow (eliptical) and Ogee. White gutter can be used to blend in to a White Fascia or a White Woodgrain Fascia installation.